Protect your valuable tools with this stylish zipped scissor wallet. Made from high-grade leatherette and finished with deep red stitching. Open the case up and you have 2 spaces for scissors, a comb holder and a tidy little compartment for your maintenance tools. 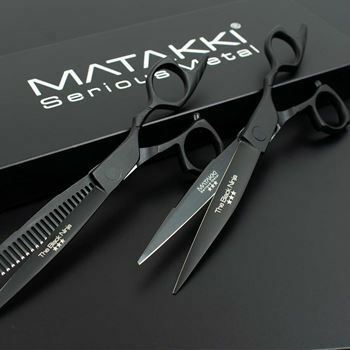 Included in your purchase is a small bottle of Matakki scissor oil, a tension key, a soft polishing cloth and a scissor maintenance guide. 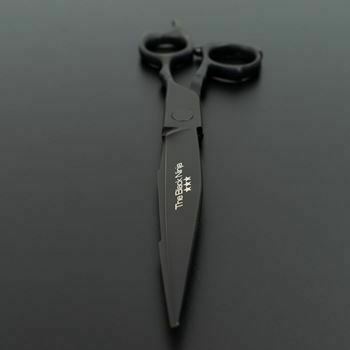 The Matakki Black Ninja matching scissor set (scissor and thinner) is hand crafted with Japanese 440C steel then finished with a protective matt black teflon coating.